TALLAHASSEE, Fla. - A federal appeals court says Florida does not have to immediately overhaul its process for restoring voting rights to former prisoners. A three judge panel of the Atlanta-based 11th U.S. Circuit Court of Appeals agreed late Wednesday to put an ongoing legal battle over voting rights on hold for now. A federal judge in March had given Florida officials until Thursday to create a new process for restoring voting rights to former prisoners. He said the current system is unconstitutional and arbitrary. Florida asked the appeals court to block the decision while an appeal was under consideration. Florida Gov. 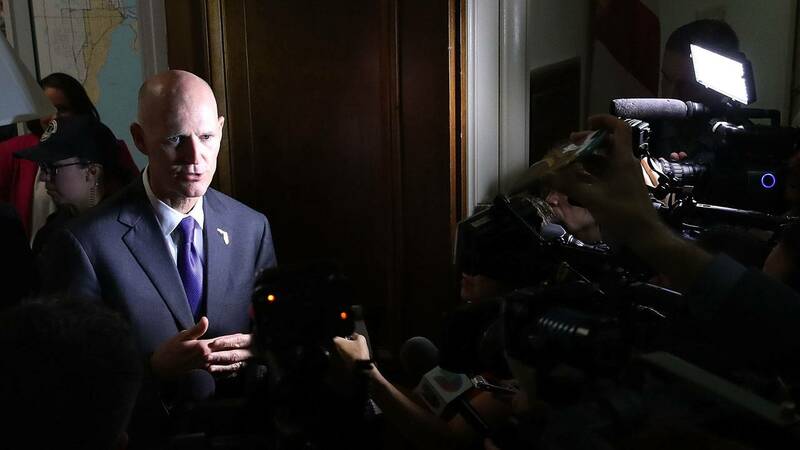 Rick Scott had scheduled an emergency late-night meeting of the state’s clemency board to enact new rules in case the appeals court turned down the state. The meeting was canceled minutes after the appeals court ruled.